All in all we just need more bricks for the wall. It takes a lot of guts for someone to step into the middle of another self-congratulatory awards ceremony and espouse beliefs that don’t fall in line with repetitive, robotic narrative that celebrities push. That someone risks being exiled from the cult, which could hurt future earnings. Joy Villa, singer and supporter of President Donald Trump, did it again! The vocalist turned up to Sunday night’s Grammy Awards in a dress that defies the conventional wisdom that you shouldn’t espouse any right-of-center belief in Hollywood and the music industry. 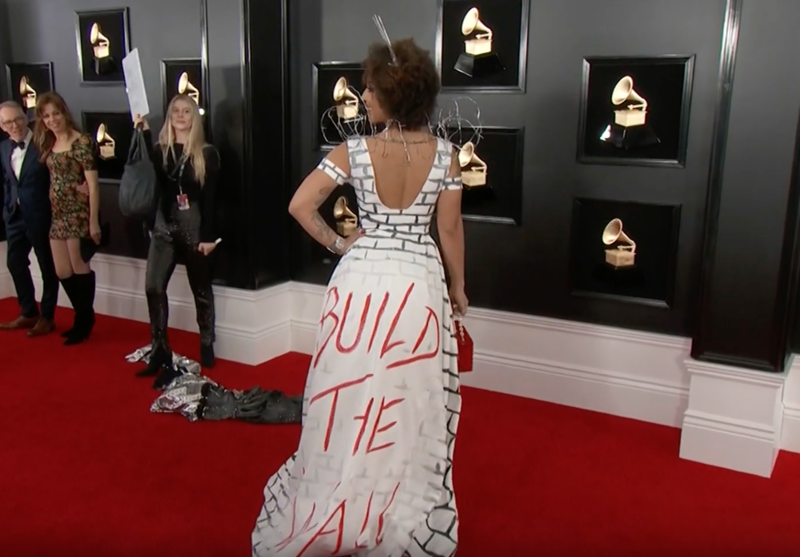 Villa’s dress was a take on the classic 1979 Pink Floyd album cover, “The Wall.” Instead of the dress having the band’s name accompanied by the album title, Villa’s dress simply had three words on it that must have made the Hollywood and music industry elite cringe. “BUILD THE WALL” was the phrase emblazoned on the back of Villa’s dress. Since the Grammy’s is a formal event, Villa couldn’t show up without accessorizing. To compliment the dress Villa carried a small red purse with “Make America Great Again” printed on the front of it. "I don’t care what anyone thinks," Villa tweeted Sunday night. "I 100% support the wall & our President @realDonaldTrump. Do you want more drugs brought in? (70% of heroin from Mexico) More illegal women getting sexually assaulted (1 in 3)? More children being trafficked? (Thousands a year) because I DO NOT!" 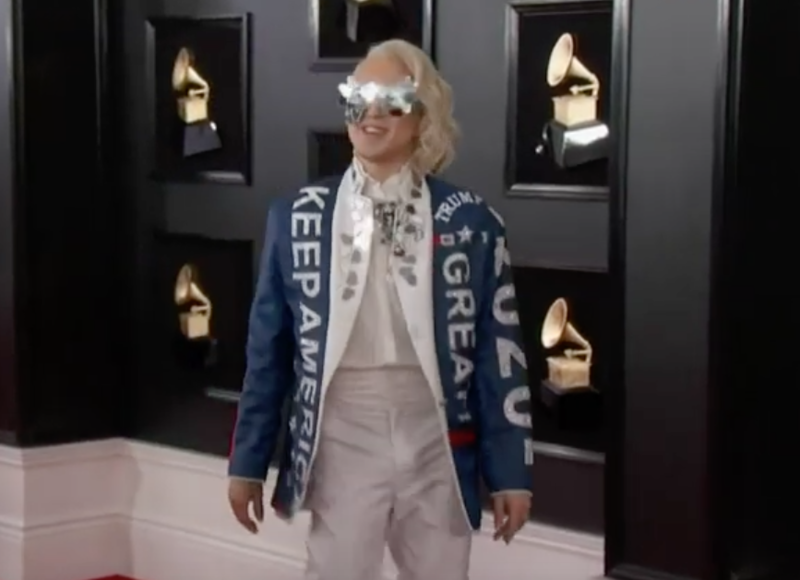 Not to be outdone, fellow recording artist and LGBT advocate Ricky Rebel donned a pro-Trump sport coat on the red carpet. It’s possible that because of all the hate the media, politicians and celebrities throw at Trump, he’s become counter-culture and therefore more appealing to those that don’t like the status quo.